Technology has evolved at such a rapid pace over the last 10 years that it has caused severe disruption across almost every major industry globally. The general consensus is that enterprises need to embrace new technologies in order to remain competitive and relevant. Businesses that don’t adapt or evolve will simply not survive. In the Middle East, there is a growing recognition across multiple industries that digital transformation is both critical and necessary as we enter into an era dubbed the Fourth Industrial Revolution by ICT thought-leaders. However, in a comprehensive new report compiled by Dell Technologies it has been claimed that many businesses in the UAE and KSA have expressed fears regarding the ‘barriers’ they’re going to be encountered with on their path to digital transformation, with many also saying they feared that after five years they would be left behind. Technology as aforementioned above can be a disruptive force - and new technologies have the capability to completely transform society. A prime example of this was the introduction of the iPhone in 2008. The iPhone changed societal norms and how we communicated with each other, plus it triggered the mass adoption of smartphones on a global scale. Technology has disrupted multiple industries and fundamentally reshaped how many businesses functioned and operated. Take the telecommunications sector, for instance. Mobile operators had a monopoly on how people stayed connected to each other when mobile phones first became affordable for the masses at the end of 90s. In order to make phone calls or send text messages, mobile users had to either subscribe to a monthly payment plan, or pay-as-you-go. However, the emergence of OTTs in the form of Facebook, Skype and WhatsApp has allowed people to stay connected for ‘free’ and has completely decimated the traditional business models and revenue streams for operators worldwide. The telecommunications industry isn’t isolated when it comes to disruption caused by new technologies. The global taxi sector has been turned upside down since the arrival of US ride-hailing companies such as Uber and Lyft. Uber is now the most profitable taxi company in the world without owning a single vehicle! Although, it’s worth noting that Uber describes itself as a technology company. However, that viewpoint from Uber angered taxi firms all over Europe, and eventually led to the European Union (EU) to rule in the High Court late last year that the company should be regulated like any other taxi company and that it is not a technology business. Airbnb has also enjoyed phenomenal growth in the hospitality space and is now one of the world’s most profitable hospitality businesses despite not owning a single property. Technology-driven entities like Facebook, Uber and Airbnb have caused huge disruption and have ultimately prompted industries to overhaul their existing traditional system of operations in order to survive. Industries that integrate these new technologies are embarking upon digital transformation. The UAE, and particularly Dubai, is a technologically-driven city that serves as a beacon of modernity. 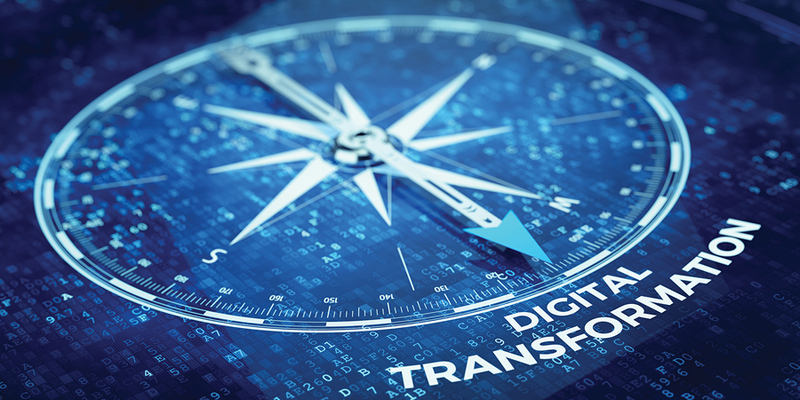 However, many business leaders both in the UAE and the Kingdom of Saudi Arabia have expressed real fears regarding their digital transformation journeys. The DT Index, which was completed in collaboration with Intel, maps digital transformation progress of mid- to large-sized companies and examined the digital hopes and fears of business leaders. Based on responses from business leaders in the UAE and KSA, only 4% of these businesses see themselves as digital leaders, and 87% agree or strongly agree that digital transformation initiatives need to be even more wide-spread throughout their organizations. According to the research, 90% of businesses in the UAE and KSA are facing significant roadblocks to their digital transformation initiatives today. The research compiled in the report by Dell EMC indicated that businesses are taking progressive measures and steps in an effort to overcome their barriers. However, despite this, only 32% strongly agree they’ll disrupt rather than being disrupted within five years. While there is minimal growth in the Digital Leadership group, the Digital Transformation Index has tracked dynamic movement across other groups. For instance, 27% of businesses now are categorized as Digital Adopters (a rise from 12% in 2016). These companies have advanced digital plans and innovations in place to power their transformation. However, the Digital Transformation Index also reveals that dozens of companies are in the bottom two groups, meaning they’re either moving too slowly or don’t even have a digital plan in place. Amin added that it was vital Dell became a key enabler for regional organizations that wanted to embark upon digital transformation initiatives. His viewpoints were backed up by Fady Richmany, senior director and general manager, UAE, at Dell EMC, who stressed that with technology evolving and changing so rapidly that it was imperative that enterprises make digital transformation the No.1 priority on their overall strategic approach.